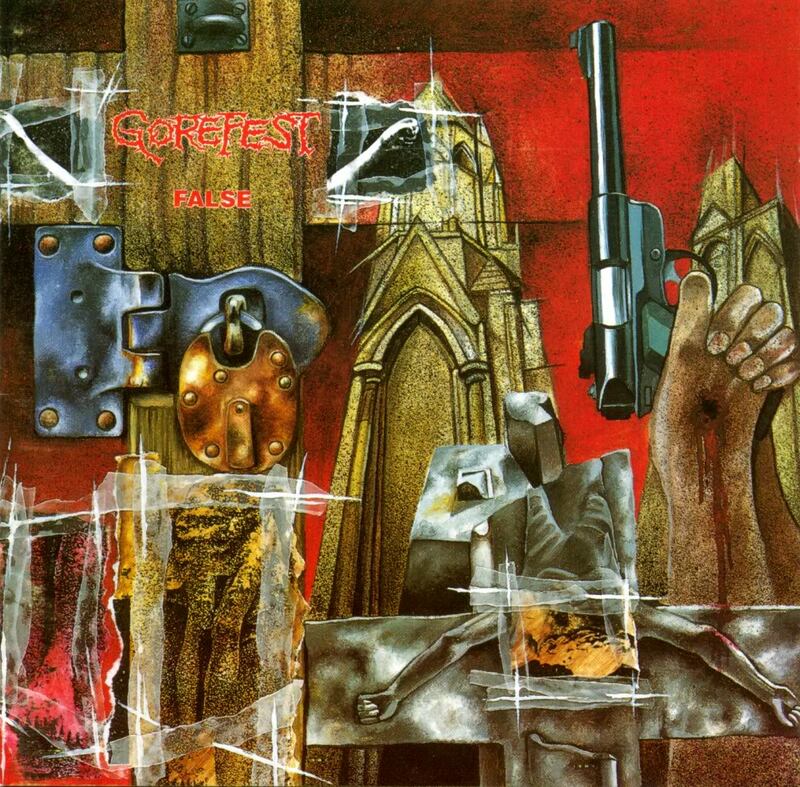 Gorefest’s third album was a divisive one that had the band sitting comfortable in the niche they had created with the preceding album. With an increasing creative influence from guitarist Boudewijn Bonebakker and drummer Ed Warby “Erase” is mostly lambasted for its heavy reliance on groove, its pristine but overly dry production and the looming but prevalent traditional metal influence that came to the surface more than ever before. The drumming is more involved and involving than before without ever becoming excessive on any front. That restraint is exactly what makes this album as powerful as it is. Certainly, there were more brutal alternatives available on the scene, more darker and faster ones too, but those hardly matched the combination of songwriting, musicianship and excellent production work that is witnessed here. Gorefest captured lightning. From the opening moments of ‘Low’ the shift in direction is notable. A 4/4 drumbeat gives way to a melodic traditional solo, and Jan-Chris’ vocals are more clear, yet more commanding than on “False”. On all fronts Gorefest had become more musical, more mature perhaps as “Erase” is a full-on socio-political dissection of the ills of modern society. Where “False” dealt with social-political themes in broad strokes, this album goes for a more personal approach to the subject matter. Restraint is the keyword for this album because outside of a great focus on melodic leads/solos the record is probably the slowest the band had written up to that point. There are plenty of fast and faster parts, and even blastbeats for that matter – but everything serves a greater purpose. Every note is there for a reason, and nothing goes to waste. The album is almost clinical in its precision and methodic in its songwriting. This could definitely be considered a forté – but it could also be pointed out as a potential weakness for the exact same reasons. Everything is cold, precise and almost inhuman in parts. 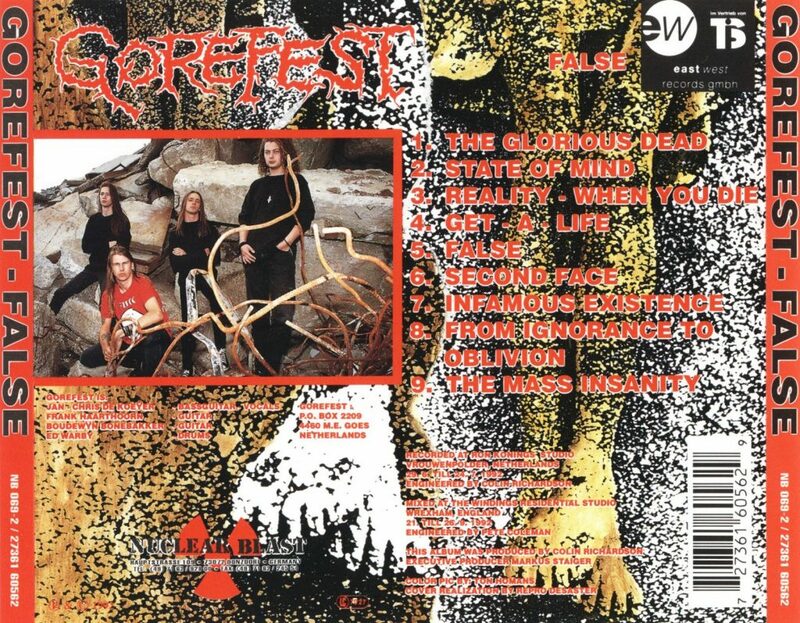 Gorefest, in mind and feeling, is still very much present - but they are notably different than they were before. ‘Fear’ is the most melodic track of all with traditional metal stylings all over the place. Much like ‘I Walk My Way’, ‘Seeds Of Hate’ relies on its driving rhythm section and its monstrous chorus, in which De Koeijer dryly relates: “the problem is you.” ‘Peace Of Paper’ is, besides the rather clever pun in the title, the most devastating track on the record. Faster than most cuts on this album from the onset this track wastes no time in getting to the point. The juxtaposition of Warby’s intense drumming and the guitarist duo’s melodic leads and solos is one of the most readily impressive features of the cut. The real highlight is Warby’s blast segment with incredibly fast but controlled footwork and cymbal crashes. It is an unreal display of limb control. This makes the drum intro to ‘From Ignorance to Oblivion’ sound fluffy in comparison. The whole cut revolves around the interplay between guitars and drums. The bass guitar is circumstantial, and only serves its absolute minimal purpose here, just providing bottom end heaviness. ‘Goddess In Black’ segues beautifully with the preceding track, going for the opposite direction. After the blast track, it is soothing to hear the almost doom-like ‘Goddess In Black’. Another amazing, and somewhat extended lead/solo section forms the basis for the track’s conclusion. Feedback introduces ‘To Hell and Back’, which mostly follows the pattern of ‘I Walk My Way’, and like that track it suddenly explodes into a grooving rhythm section which will be driven to a climax to end the album. The track is broken up in a number of start-stop sections and lead breaks, which are bookended by the band’s typical groove procedure. It looks so simple, but it most certainly is not. That is the cleverness of the deceptively simple sounding arrangement, and the writing at play. The production, done at two different studios, and handled and overseen by producer Pete Coleman (who had worked with Cancer and Disincarnate the year before) is the most bass-heavy of all the band’s productions. The pairing of Coleman and Gorefest isn’t strange in itself, given the period in time this album was released in. Considering that Coleman is mostly famous for productions of 80's AOR/melodic rock it wasn’t all that far-fetched that both would eventually work together, given how Gorefest never was a standard death metal band to begin with, not even in their early days. De Koeijer’s bass guitar for the first time can be clearly heard popping away. Ed Warby’s drum kit sounds full, warm and utterly massive, which is a clear step forward compared to “False”. The tom and snare sound is acquired taste, but the kickdrums have never sounded more rumbling and thundering than they do here. The guitar sound is largely carried over from “False”, but they now have added layers of depth, texture and range. 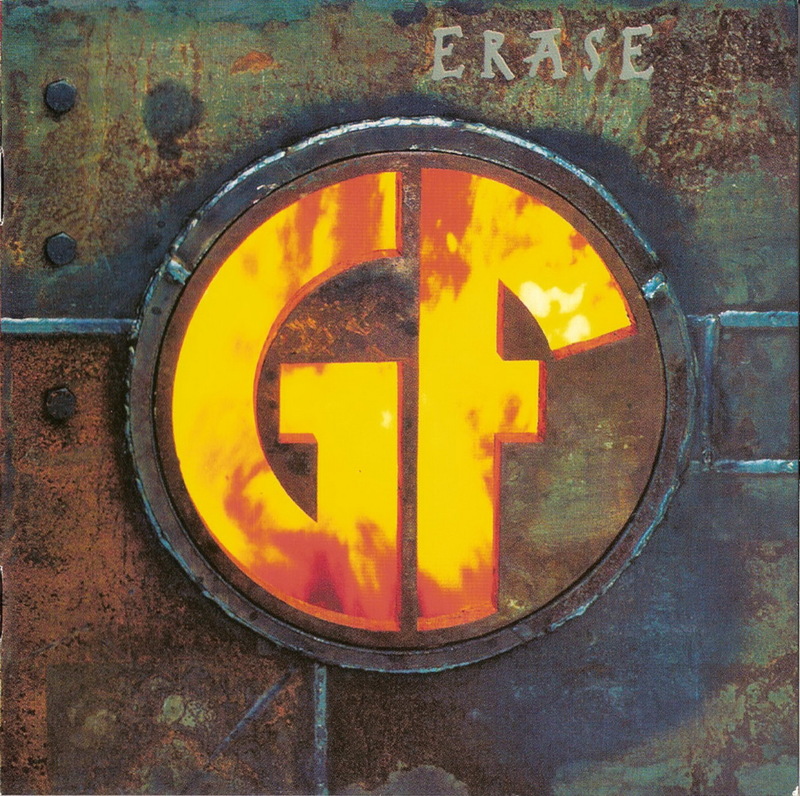 “Erase” saw Gorefest at the height of its success and power, and the record embodies that attitude. The cover art forgoes the blood splattered band logo, and instead there is the new GF sigil that would also feature in the promo video to the title track. The sigil itself is part of a furnace, displaying the consuming fire inside. The photography and overall presentation is slick and professional to a fault in terms of composition and execution. The whole band appears calm and collected, confident in itself, its skill set and the material presented. The drums were recorded in Studio Zeezicht in Holland over 4 days in January 1994. With two days in between sessions, the band reconvened at T&T Studio in Gelsenkirchen, Germany with producer/engineer Pete Coleman for a two month session to lay down vocals, rhythm guitars, bass guitar and the many involving and carefully crafted leads/solos. The choice of studio was probably at behest of drummer Ed Warby, who had recorded there earlier with his former band Elegy. In a lot of ways this is the kind of album that Sinister, Thanatos, Pestilence or Altar would never come to write and/or record. They all had their major and minor successes and signature albums, some more deserved than others, but for them the stars never quite aligned like they did for Gorefest with this album. It is possibly the last great “old school” Dutch death metal record before the new school would take over, and dictate trends from that point forward. It is a time capsule of a time now sadly passed. The record was a priority release for Nuclear Blast Records at the time, and it was pushed with two promotional video clips. The most widely known is obviously being the title track. It is an artfully shot and expensive looking black-and-white video that exudes a level of seriousness often lacking in metal video productions. Recorded in a abandoned warehouse, adorned with chains and elevated platforms for each member, whereas on the groundfloor a dozen or more glass-eyed extras, both male and female, wander around in white straitjackets. Central in the warehouse there is a backdrop of the GF sigil that featured prominently on the cover art of the album. The second single ‘Fear’ is the typical live performance video cut together from various club shows, which isn’t very interesting outside of some backstage footage. Nevertheless it showed that Nuclear Blast was serious in promoting this record in whichever avenue available to them. 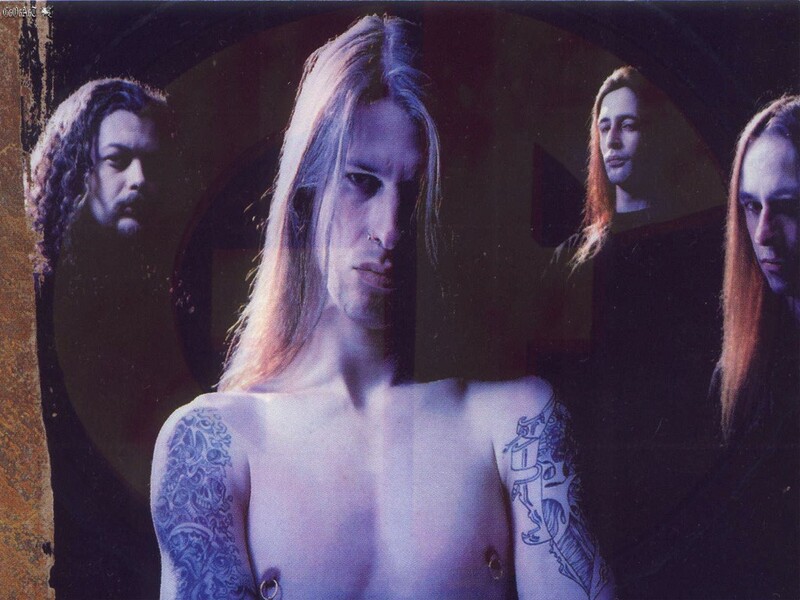 After this record Gorefest would venture into more laidback death ‘n roll territory with the subsequent two albums, “Soul Survivor” (1996) and “Chapter 13” (1998) before calling it a day due to mounting interpersonal – and business problems. The band members drifted apart in various non-metal related projects and bands. In this period only Ed Warby remained active within the scene, acting mostly as a live session or studio drummer for various projects. After a 6-year hiatus, in 2004, Gorefest reformed and released “La Muerte” a year later among a slew of old school institutions returning to activity. Another two years down the line, in 2007, “Rise to Ruin” was released, as a contemporary interpretation of “False”, but despite the critical acclaim the band dissolved with only Ed Warby (drums) remaining active in various extreme metal acts.